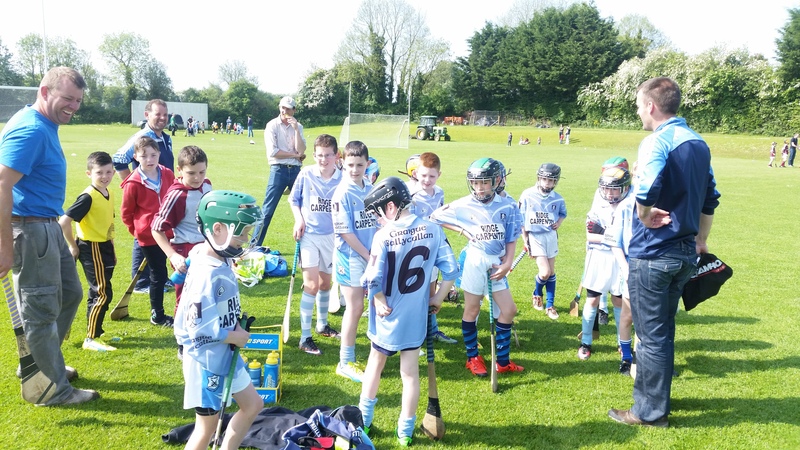 Graigue Ballycallan U10’s hosted a friendly with a depleted Clara team on a beautiful Saturday morning on May 28th in Tom Ryall Park Kilmanagh. 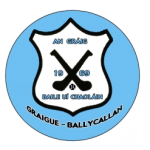 The game was played in what’s becoming their usual format of 3 periods, commencing with ground hurling and giving every chap a minimum of 2 periods. As the summer approaches its evident this team are playing more as a unit and lads are finding their natural position. A good example of this is the towering performance of Sean McGrath in defence where his confidence grew more and more as the game went on. GBC ran out easy winners at the end and notched up a score line of 7–2 and two goals of which were crackers by first time scorer James O’Halloran. Other young players beginning to find their feet notably Robbie Lynch, Shane Cody and Donnacha Cleere. Nevertheless, the bulk of the scores were from the ever dependable Elliot Teehan, Ben Young and Tony Butler. 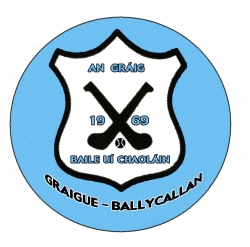 The team were as follows; Shane Cody, Ben Young, Aidan Comerford, Donnacha Cleere, Sean McGrath, Cillian Hoyne, Elliot Teehan, Frank McCluskey, Paidí Egan, Eoghan Cahill, Robbie Tector, James O’Halloran, Tony Butler, Chris Mahoney, JJ Maher, Robbie Lynch and Issac Comerford.